Here are the top Amazon seller fees you would need to take care. As a seller, you have to pay three different fees. i) Referral Fee, ii). Minimum Referral Fee, iii) Variable Closing Fee. Amazon puts referral fee on every product it sells. Depending on the product category, there is a different referral fee. The fee generally depends on the item you are selling because of the referral fee dependent upon the price of the product itself. Referral fees range from 6% to 20% (45% for Amazon devices); most Amazon sellers pay a 15% referral fee. If you are selling a low-cost product, instead of paying a large percentage value, you will be charged a flat $1 or $2 depending on the category. For instance, you may have to shell out $2 if you’re selling products in the Jewelry and watches category. If you want to sell anything under the Media category – which can include anything from books, music to games – you have to pay an additional fee, known as the Variable Closing Fee. This fee varies based on the category, type of shipping service availed and destination. Depending on the type of account, your fees would vary. You won’t be able to sell more than 40 products each month. There is no bulk upload feature; expect to list all your products manually. No inventory management feature available, and you won’t be able to gift wrap as well. Referral fee and variable closing fee are what you would be paying if you are a pro seller with a large volume of sales. As a pro seller, you may have to pay a fee of nearly $40 a month, but it comes with features you would need when it comes to managing large sales volume, like inventory management, bulk uploads, and gift wrapping options. FBA, known as Fulfillment by Amazon fees, helps track your stocking, shipping, and packaging of Amazon order. Both individual and pro – sellers, can have access to FBA. FBA fees depend upon product weight and size. It will charge you to use the logistics management service. It’s what covers your entire shipping cost. It’s what you pay to store any products in the Amazon’s inventory you have to pay a monthly storage fee. Amazon divides FBA product category into two sizes. If your item weighs less than 20 pounds and has dimensions lesser than 18”*14”*8, you qualify. Products exceeding the above parameters are considered as oversize products. Amazon deposits your cash directly into your bank account. If your money is transferred across the international borders, your bank will charge a fee for per transaction. It’s advisable for you to keep track of this fee. If you make $500 a month as profit through sales and your bank charges $50 per deposit, you would only make a profit of $450. If you are an Amazon seller and pay tax, the sales tax cost is directed to customers after all the Amazon fees have been calculated. The cost of producing or buying the product. Per the transaction cost of the product. Any overhead expense such as selling plan fee, transaction fee, storage fee and others. Your own business set up costs, such as government permit expenses, salary payments to your freelancers and employees. There are several Amazon commission fees to note. There can be an adjustment fee, an order item fee, or even a refund fee. For instance, when a customer asks for a refund, you would be charged a corresponding amount to the original fee. There are also fees like Gift wrap charges. Should a customer need a gift wrap, Amazon first notifies it to you as income and then makes a chargeback equal to the value charged to the customer. 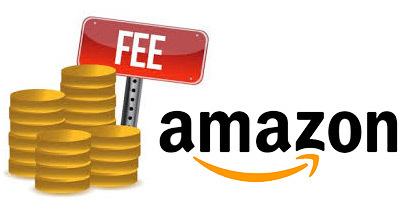 This is an introduction to the amazon seller fees, but there is other fees that amazon can charge, I have wrote a Comprehensive List of Amazon Seller Fees of all amazon transactions where you can find a complete list of fees, if you have any doubt or found a fee not listed let me know commenting this article. This entry was posted in Amazon, Fulfillment Spain. Bookmark the permalink.